Michelle Williams continues to take top prize with her red-carpet beauty moments. They start with her incredible skin -- with skin like that, going wrong with makeup is a tough thing to do because you don&apos;t need much. And of course she&apos;s got makeup star Jeanine Lobell (creator of Stila) on her side. How gorgeous is that peachy-coral lipstick? It&apos;s Chanel Coco Rouge in Chalys -- and a great way to work yourself up to Spring&apos;s juicy orange, by the way. 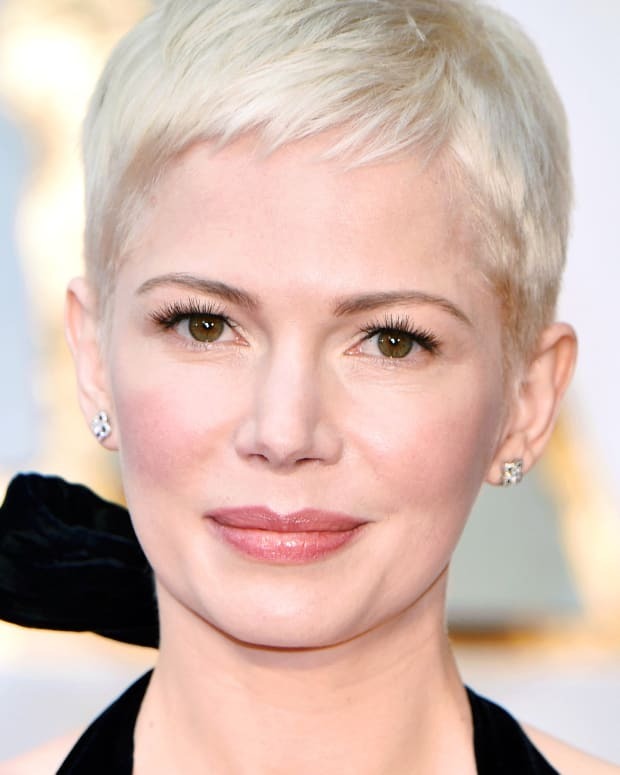 Get the full Michelle Williams makeup details at Allure.com. Chanel Rouge Coco is available at Murale and select department stores.